Can cannabis really make ADHD patients better parents? As more countries and States legalise cannabis worldwide, we are learning more about the benefits of the once demonised medicinal herb. The idea that cannabis could help you become a better parent would have been laughed out the door years ago, but now, more and more parents are finding that cannabis is actually helping them be better parents. Laura Poirier, 31, from Canada, is one of those parents, but with one difference: Laura was diagnosed with Attention Deficit Hyperactive Disorder (ADHD) at the age of 10. ADHD is a neurodevelopmental disorder characterised by a lack of concentration, hyperactivity, high anxiety and impulsivity, affecting all areas of life for those diagnosed. Laura has been blogging about her medical cannabis journey on social media since the start of the year, telling hundreds of followers about how medical cannabis has changed her life as an ADHD parent, allowing her to be a more attentive and calm parent. “I was diagnosed with ADHD at the age of 10. “This affects every area of my life. From household chores to organizing my life to work. I forget important dates or appointments. “I get frustrated if there are too many distractions, especially when my traditional medications cut out around 4pm, all chaos breaks loose in my mind. “I annoy people, which affects my mental health the most. Those diagnosed with ADHD face a potential lifetime of dangerous pharmaceutical medications. The most common medication prescribed to those diagnosed with ADHD is Methylphenidate, sold under a variety of brand names, with ‘Ritalin’ or ‘Adderall’ being the most common. Methylphenidate may improve focus, and decrease impulsivity and hyperactive behavior, two hallmark symptoms in some patients with the condition, but at a cost. According to the FDA, methylphenidate is a federally controlled substance (CII) because it can be abused or lead to dependence. The most common side effects are: depression (suicidal thoughts), insomnia, mood swings, decreased appetite and weight loss, stomach ache, nervousness, severe headaches, sweating, shaking, fever, increased heartrate, and dizziness. There is also a high potential for abuse of Methylphenidate-based medications, especially as it shares a very similar chemical composition as Methamphetamine and Speed. “Not eating during be day, over eating at night. Insomnia and blood pressure problems. “Straterra was wonderful, except for one horrible side effect: constipation. Extreme constipation. Many medical marijuana patients began their journey looking for a medical alternative which could ease these side-effects. “The side effects, surprisingly, didn’t influence my decision to try cannabis. “It was actually a video I found on social media: “Adam ruins everything,” an online show. It’s funny, you should check it out. The negative stigma attached to cannabis poses a serious threat to millions of patients across the globe. Many are put off from trying medical cannabis after being subjected to decades of “Reefer Madness” propaganda. This stigma is dangerous. A patient whose life could be significantly changed for the better could die in agony due to a fear of trying cannabis. “I had heard cannabis was effective for ADHD for years. But, I thought it was a drug. A gateway drug. I was really naïve, I have to admit! “It did put me off when it was illegal. “I am a mom with responsibilities and a company to run. I am trying to be a good contributing person in society. Doing something illegal was never my plan. “I even viewed cannabis as a drug, a ‘gateway drug’. “It scared me, apart from the fact everyone I knew who used it was a good person, who was never hurting anyone. “I was very worried about the negative impact of my cannabis use. “Worried about being judged. Worried someone would complain to child services and try to get my children taken away. Worried we would be evicted from our rental. “Worried about how my friends and family would react. “Worried that this would negatively effect my children’s lives at school. I was even worried that other moms wouldn’t let my girls play with their kids because I was a cannabis user. “All of these worries floating in my mind were not enough to stop me from using this miracle of a medication. “Imagine you are colour blind and someone gives you cannabis, and once you have used the medication, you can see all the colours of the rainbow! “This is what cannabis feels like for my ADHD! “It’s not a cure, but my goodness, it helps better than anything I have ever tried before. “I cried a lot at the beginning. I was so upset at society for not allowing people with ADHD to have this as their main medication. “No other medications helps my brain function the way cannabis does. This is how I imagine ‘normal’ brains function. “I was able to find a doctor who would prescribe me cannabis by the autumn of 2017. “At first, I only used cannabis infrequently to help with my math skills to play ‘cribbage’ with my husband. “We love board games and spending time together playing these things. It’s our special time. “Before my husband would have to double check my math. Every. Single. Time. “As an adult, it can be embarrassing to have others need to double check your work. I felt stupid and wrong. “With cannabis, I could do math on my own, rarely getting the math wrong. Cannabis allows those with ADHD to function without being ‘zoned out’ from Methylphenidate, but does come with side-effects, like any medication. Those who argue against cannabis legalisation claim that doing so could bring danger to our roads, with more people driving under the influence. “For my daily routine, I have to work around my cannabis use and driving. “If I’m going somewhere out of work hours, I will arrive, use my medical cannabis, and stay for two hours at least before driving again. “Regular life normally looks the same: I Get up, feed kids, pack backpack and lunch, walk daughter to school, play with younger daughter at home, make lunch, etc., you get the idea. “On the days where I can “wake and bake,” the whole morning routine works better and I can see my children smiling more and enjoying life! We sing and dance while we get ready. “We smile more. Not just me, but others around me. One of the greatest changes cannabis has had on Laura’s life is her parenting. ADHD suffers find it difficult in concentrating on one task, never mind multiple tasks at the same time, making ‘play-time’ especially challenging for parents with ADHD. “I love playing LEGO with my family when I use cannabis! “LEGO is fun, but it comes with sensory issues which can be really problematic for us with ADHD. “For example, it can get really loud when your digging for pieces, and it’s sharp and pointy on the corners, a really unpleasant feeling and sound. “When I play with LEGO un-medicated it’s overwhelming to both play and talk to my girls. I had to choose one or the other. “Now, with cannabis, I can choose both! “I not only can filter out the sensory overload of noise and touch but I can focus on the girls as they learn and grow. Bouncing back and forth between playing with my own creation and paying attention to them as they request my attention. “For my regular paperwork, cannabis is the best thing to ever happen to me. “I live in Canada, so soon it will be legal for everyone to access. For now, I have my medical marijuana prescription. It is legal for me. “I did try it when it was not legal, but I had to hide my use of it from the outside world. ADHD is often diagnosed with other mental illnesses, particularly high anxiety and depression. Low self-value due to a perceived lack of worth, combined with a pharmaceutical medication known to cause depression, can be a deadly cocktail. “The biggest relationship impacted by my cannabis was the relationship with myself. I don’t beat myself up about mistakes or ADHD issues anymore. “The relationship it did not help with is the one with my parents. According to the Centers for Disease Control and Prevention (CDC) approximately 9.4% of American children 2-17 years of age (6.1 million) had ever been diagnosed with ADHD, according to a parent report from 2016. In the UK, the prevalence of ADHD is lower, surveys of children between the ages of 5 and 15 years found that 3.62% of boys and 0.85% of girls had ADHD. Millions of children across the UK and US could benefit from having legal access to medical cannabinoid treatments, whether that be full spectrum or CBD oil. By denying these children access to a safe medication, we are condemning them to a life-time of potential addiction and depression. Amazing mothers like Laura, however, are standing up to help raise awareness about how medical cannabis could how the potential to giving ADHD patients a more normal life, without forcing them to take hard drugs, like Methylphenidate. 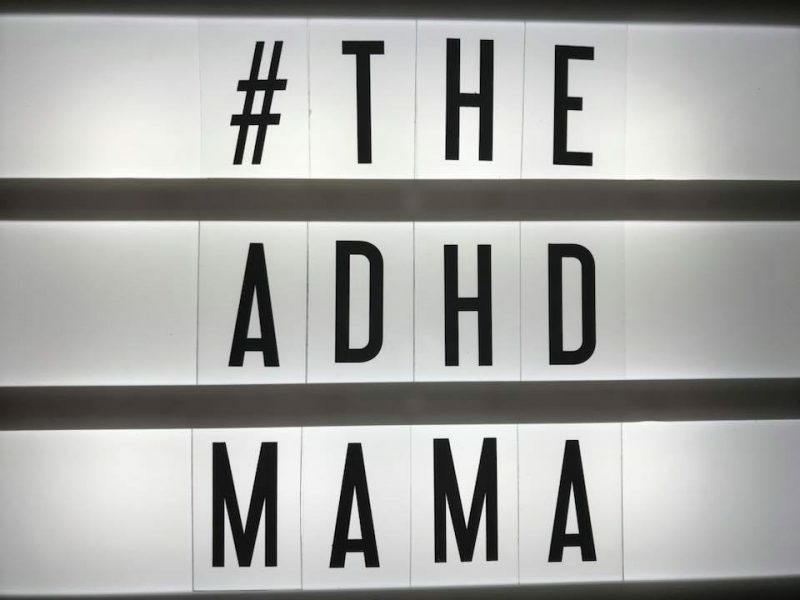 You can support Laura’s journey through her personal blog: The ADHD Mamma.